For more than 20 years, Nicky and his dedicated team have been producing National Hunt horses of the very highest calibre. 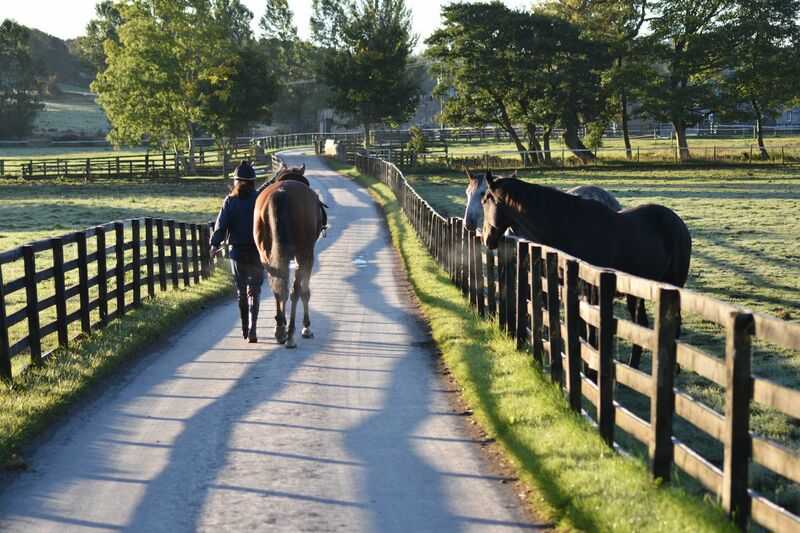 Whether a Grade One contender or a young bumper prospect, the same patience and attention to detail goes into getting the absolute best out of every animal housed at Greystoke. More than 800 winners and £5million in prize money is proof that what we do works remarkably well. Greystoke was synonymous with National Hunt racing long before Nicky took the reins in 1997. The sport has always been at the heart of the Cumbrian village and its beautiful surroundings, and back in the 19th century hunters were kept in the Castle stables. In the mid-1900s, Tommy Robson enjoyed a successful spell at Greystoke, saddling Magic Court to land the 1964 Champion Hurdle. But it was the arrival of Nicky’s father, Gordon W Richards, aka “The Boss”, in 1967 that catapulted Greystoke’s reputation to another level. Nicky was 11 when his father brought just five horses across from Northumberland. Among them was Playlord, who was third in the Cheltenham Gold Cup in 1969, and Titus Oates, who won the King George VI Chase in the same year. 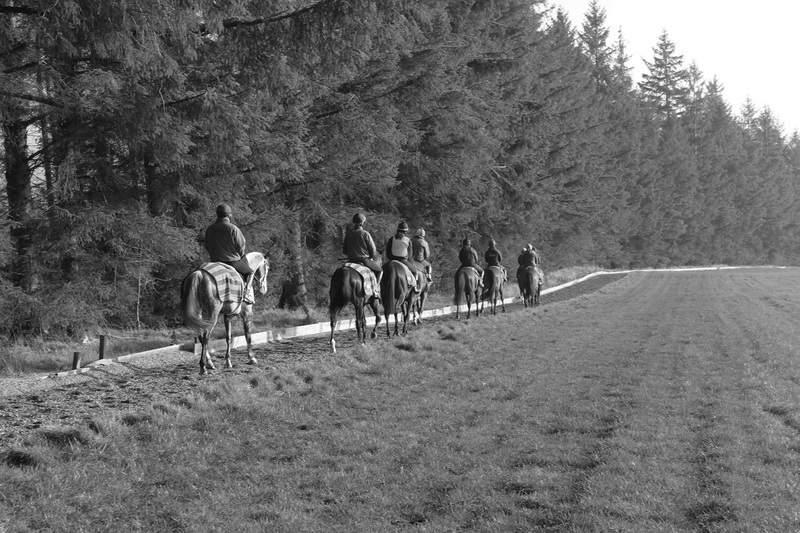 For 30 years The Boss turned Greystoke into one of the premier yards in the country at a time when the north enjoyed a golden age of success, with Michael Dickinson, Peter Easterby, Jimmy Fitzgerald and Arthur Stephenson dominating the jump racing scene. Horses such as One Man and The Grey Monk became household names and The Boss nurtured a string of top jockeys in Ron Barry, Neale Doughty, Jonjo O’Neill, Tony Dobbin and Brian Harding. Among the 2000-plus winners he trained were Grand National heroes Lucius (1978) and Hallo Dandy (1984). He was already ill with cancer when One Man triumphed in the 1997 Queen Mother Champion Chase at Cheltenham and died not long afterwards, leaving Nicky to take over the reins. Nicky, a former amateur champion jumps jockey, had been acting as assistant to his father for several years, training from Rectory Farm Stables on the fringe of the village. He has seamlessly continued his father’s success by maintaining the high quality and standards for which Greystoke has been renowned. Although Nicky inherited a team in transition with established stars past their prime and young store horses yet to prove themselves, he has consistently produced a string of big names and won countless graded races. Although beaten a whisker in the Triumph Hurdle, Faasel was a star for the yard; The French Furze was a dual winner of the Fighting Fifth Hurdle; Turpin Green was third in Kauto Star’s Gold Cup in 2007. These and other good horses in the early part of the new millennium built on the success of Greystoke’s cherished past. The beautiful grey, One Man, was his father’s greatest horse and it was another dashing white equine star who has so far proved to be the apple of Nicky’s eye and his greatest success. Few horses have captured the hearts and minds of the racing public in recent years like the legendary Monet’s Garden. His two Grade One victories in the Ascot Chase came three years apart (2007 and 2010); he won the Grade One Melling Chase at Aintree and it was at the home of the Grand National that he won the Old Roan Chase on a record three occasions. His 2010 victory was his final race and that Grade Two event is now named after him. In the 2007 renewal he even beat the great Kauto Star. His public popularity swelled further in 2011 when he courageously fought against a life-threatening illness brought on by an infected hoof. Monet’s Garden left a huge hole at Greystoke when he passed away at the age of 20 in November 2018. Other equine stars who have raised the roof at Greystoke include Feels Like Gold (Becher Chase 1999); Telemoss (West Yorkshire Hurdle 2004); Direct Access (Rehearsal Chase 2005); Harmony Brig (Rehearsal Chase 2007); Noble Alan (Scottish Champion Hurdle 2009) and Eduard (Future Champion Novices’ Chase 2014). But in recent seasons Nicky’s big race successes have begun to accumulate further. At present Guitar Pete is a proper “Saturday horse”, winning the 2017 Caspian Caviar Gold Cup at Cheltenham and running consistently well in major handicaps. Baywing has won the Towton at Wetherby and the Eider Chase at Newcastle and Duke of Navan has collected some competitive handicaps. And then there is the adorable Simply Ned. Twice a Grade One winner at Leopardstown in the Paddys’ Rewards Club Chase, “Ned” is not only one of the grand old men of the yard, but he is one of the undoubted stars. Like a good wine, he gets better with age and at 12 he likes nothing more than putting the youngsters in their place. While Simply Ned is in the twilight of his career, there are so many promising young horses who will continue to fly the Greystoke flag. Reivers Lad is a novice chaser that that Nicky is hoping becomes another proper Saturday horse; Ribble Valley is among a promising clutch of bumper horses and Glittering Love is a tough and talented gelding who knows how to win his races! Greystoke is the perfect environment for the education and training of horses. 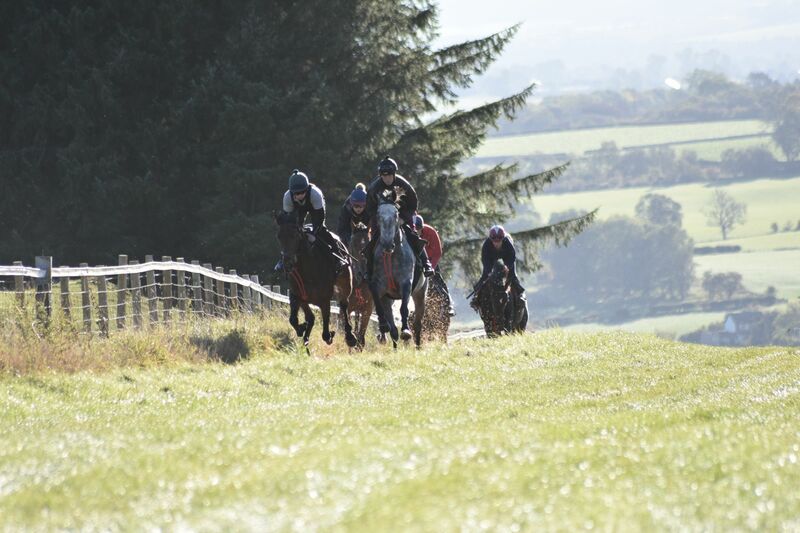 Its peaceful surroundings, miles of wooded country paths and fabulous fellside gallops have served horses well over the generations.